There are plenty of creepy websites on the internet, but the ones that really give me goosebumps are the ones that reveal just how hard it is to stay private or secure online. Whether they’re revealing privacy and security tools or bad apples, these creepy websites know everything about you. Before we begin, one quick point – naturally, Facebook and Google should be at the top of this list. Both have become titans of business by wringing every bit of data out of you that they can get. They’ve been caught lying, spying, and backpedaling to get what they want. However, this list is going to focus on new and interesting sites or cases that you may not have known about. Here goes! Bookmark this website right now so you can go back and use it every few months – it’s a critically important tool. 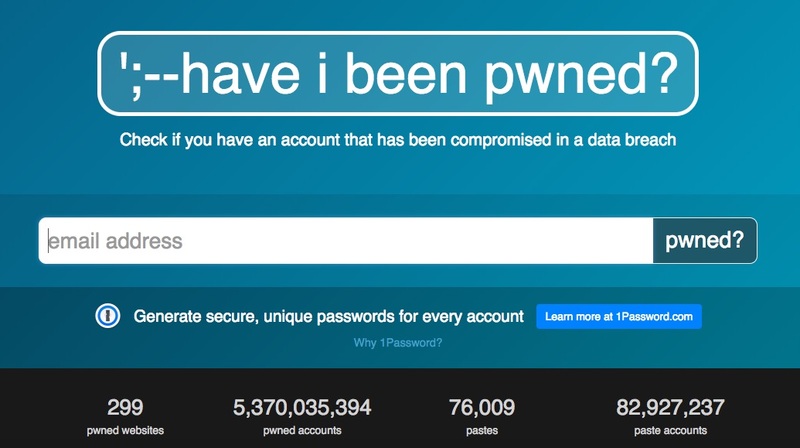 Haveibeenpwned.com keeps track of data breaches and other cybersecurity events, gathering data about the accounts affected. If you enter your email and then confirm that you own it, the website will reveal whether your email has been involved in any reported data leaks. Given the frequency and scale of data breaches these days, it’s highly likely that your email will be at least somewhat compromised if you’ve been using it to create online accounts. Luckily, this website provides feedback on how to help secure yourself. It’s a scary, eye-opening look at just how widespread cybercrime or careless security can be. You’ve heard that cookies and tracking pixels can gather tons of information about you. Europe’s GDPR has made it harder for many sites to track wary users, but did you know that just your browser can be used to discover plenty of information about who you are? That’s what Webkay, a website run by developer Robin Linus, does. When you visit his website, it does what thousands of other websites do – it gleans every single bit of information it can about who you are, where you’re from, and how you’re using the site. The only difference is that Webkay shares those discoveries with you. For every bit of information he can get, he also shares different ways to block that info from being revealed (hint: using NordVPN can help with a lot of those issues!). 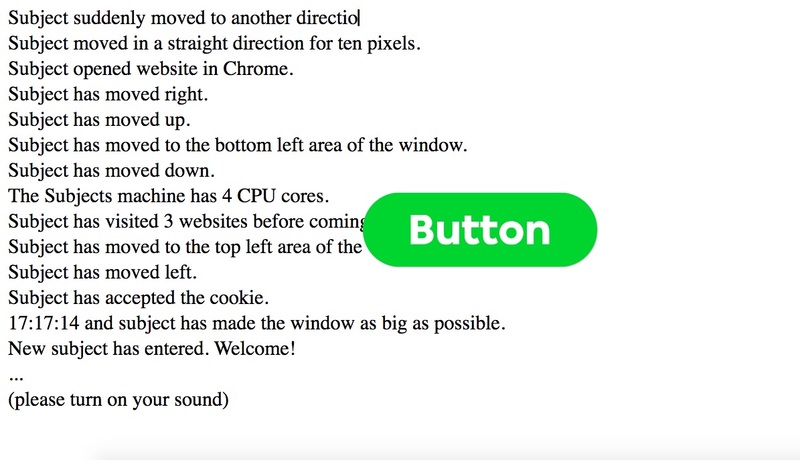 This fantastic website turns web monitoring into a game. It tracks every single action you take and records it on-screen while a narrator comments on your behavior (it’s worth turning on your sound for the creepy, tongue-in-cheek commentary). As you spend time on the site, it keeps tracks of your actions and generates game-like achievements that you can view. Yet even this fun touch makes a significant point – clever designers can create sites that trick you into letting your guard down or giving away more data than you should. I’m guilty of it too – I spent more time than I should have to earn some of those silly achievements! In any case, all of the information it collects can be statistically analyzed to identify your gender and other traits without using cookies or pixels, and despite most common security and privacy measures. When you’re online, don’t forget that someone’s always trying to watch you! 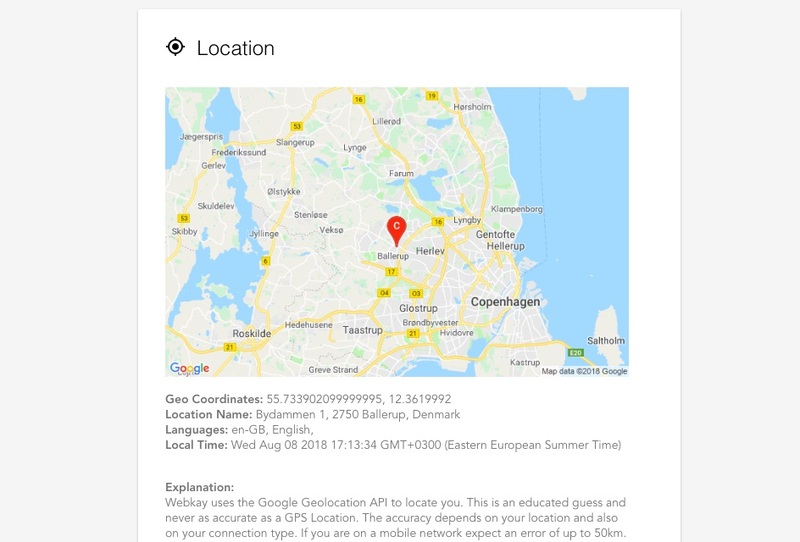 This one’s actually a Chrome browser plugin rather than a website, but it’s still a great example of just how unsettling big data can be when you get to look under the hood. 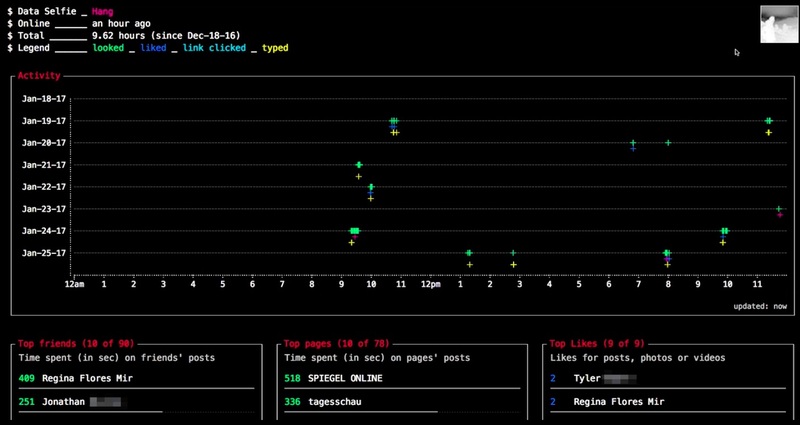 This plugin (which is now discontinued) basically just copied Facebook, tracking you in almost every way that Facebook tracks you and collecting all of the data that Facebook collects. Instead of monetizing that data, however, the plugin would let users see the information it had collected and the uncanny data profile it could create using the same methods that Facebook used. The plugin has since been shut down, but this video does a good job of showing what the experience was like and what the app could discover about you. Just because a website’s online doesn’t mean that the data it collects about you has to be. Familytreenow.com was created as a free genealogy research website that tracks people’s lives in the US using publicly accessible documents. While you can use it as intended, there’s no escaping the fact that it’s an invasive tool that makes it easy for anyone to stalk you on- and off-line. With just a first and last name, you can find where someone lives, all of the places where they used to live, their current and past phone numbers, lists of potential family members and associates, and plenty of other potential documents (as long as they are or at any point were publicly accessible). The site promises even more documents if you pay, but I’ve decided against that luxury. Go ahead – put in your first and last name. If you’ve lived in the US, you’ll see how much info about you is easily available. Then, to see just how invasive this service can be, consider looking up a close friend or family member’s info. If that convinces you that you need to do something about this website, then click here to visit their opt-out page. 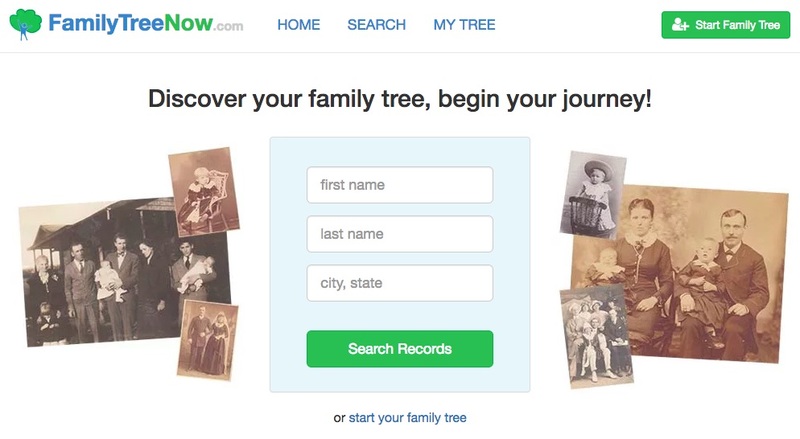 This will allow you to remove your records from familytreenow.com, but all of that information may still be available in the public domain from government websites or other locations. However, it will become that much harder to find now that it’s not all in one place. 23andMe.com brought genealogy research into the modern age by using customers’ genetic data to trace where they’re from, who they’re related to, and what illnesses they might have. All you have to do is buy a kit, spit in a sample vial, and send it back to them for analysis. The results can reveal your genealogy as well as potentially medically significant genetic configurations. Unfortunately, they couldn’t help but do a ton of creepy things with that data as well (there is an opt-out option, but it’s up to the company whether they respect customers’ choices). It can be sent to a pharmaceutical company for research. This isn’t all bad since genetic databases can be a powerful tool for finding genetic correlations with certain diseases and coming up with cures. Researchers at UCLA and the University of Southern California discovered the genes linked to severe morning sickness (hyperemesis gravidarum) in part by using data provided by 23andMe. However, pharmaceutical companies aren’t developing those drugs out of the kindness in their hearts – they’re in it to make money off of your genetic information. 23andMe has already started doing this as part of a $300 million deal with GlaxoSmithKline, which will receive exclusive rights to any drugs developed using 23andMe customers’ data. It can get lost in a data leak. No company is 100% safe, and 23andMe is no different. Leaks happen rather often, so it’s up to us to decide whether sharing our data is worth the risk. Would you feel comfortable if your entire genetic sequence would be hacked and offered on an online dark web marketplace for anyone to access? You can compromise your relatives’ privacy. Your genetic sequence doesn’t reveal only your own deepest secrets. It can also reveal details about your relatives that they may or may not want the world to know. Hereditary diseases, ethnic origins, or genetic defects are all sensitive issues that people may or may not want to discuss or even discover. You might make your parents get a divorce. At least, that’s what happened to one 23andMe customer who discovered that his father had hidden a child from a previous relationship. Your ancestral history can hide secrets that you or your loved ones may not want to know about. Target isn’t unique for using data to make creepy insights about customers to sell them products, so you can cut them a bit of slack. However, when their strategy for targeting pregnant women was uncovered, it became one of the best examples of how your data can be monetized in unsettling ways. Pregnancy is a sensitive and private time for many young families. Sure, they might share photos of their baby bump online as it grows, but they usually discuss when and how they want to share their joy with the world. That’s why many people were uncomfortable to discover that Target was using data from their customers and third parties to target highly profitable pregnant consumers as early in their pregnancies as possible – often before they had even decided to tell the world. In one case, an angry father complained to Target that they were sending his teen daughter coupons for pregnancy products while she was still in high school – only to discover that she had been trying to hide her pregnancy from him. The trick is to combine third-party data with profiles of their customers – profiles they created by using credit card numbers, discount cards, emails, names, and anything else that could track an individual’s purchases. Women were assigned “pregnancy scores” based on the products they bought. If a woman suddenly began buying more lotion, certain vitamin and mineral supplements, and other products, Target could go so far as to determine their stage of pregnancy, sending offers for cribs and strollers as they progressed. When they realized women were getting creeped out by the highly targeted offers, Target even began to hide them among offers for other products – so that pregnant women couldn’t tell that they were being watched. What do these creepy websites tell us? How inherently uncomfortable it can be to discover that you’re being observed and judged for every action you take online. Our blog has been writing for years on how to secure yourself and stay private online. Read some articles to learn how to stay safe, and then pick up NordVPN. A VPN that encrypts your online traffic will make it impossible for many sites and services to see what you’re doing or track you, giving you the privacy you deserve.